African Safari, Lake Naivasha, Kenya P1. P2. 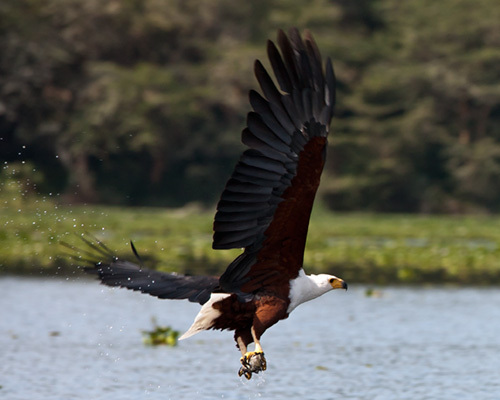 Birds are most definitely the thing if you are heading for Lake Naivasha, as you can see from the accompanying photos. 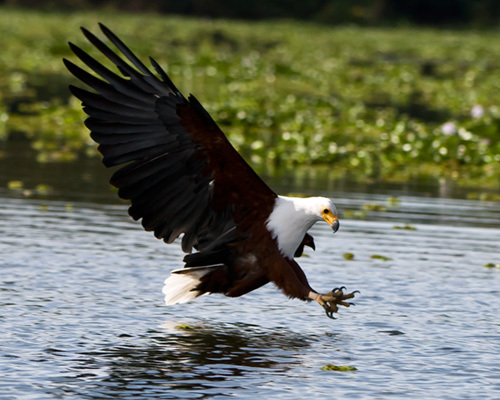 The fish eagle on the right was just one of half a dozen that were patrolling the area. They are easy to spot, sitting high on the exposed tops of distant trees. It was interesting to observe that as the eagles swooped towards a target, gulls of one sort or another would dash into the target area, presumably anticipating where the eagle was going to strike and hoping to get in first. 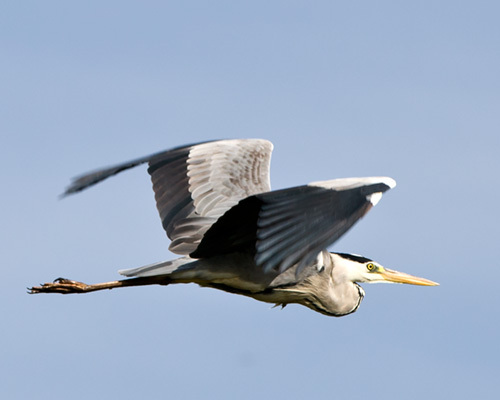 Herons, storks and cranes are everywhere. 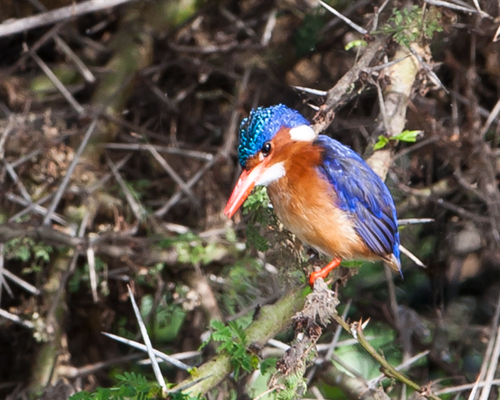 There were many different varieties of kingfishers and other birds. We spent around two and a half hours with some local guides, out on the water, getting very close to some of them. Using local people is far, far better value than using the very high priced hotel boats. There were other animals around the lake and this is one of the few places where you can freely stroll amongst them. There are no predators normally on the scene, but we were escorted by people with local knowledge, just in case. 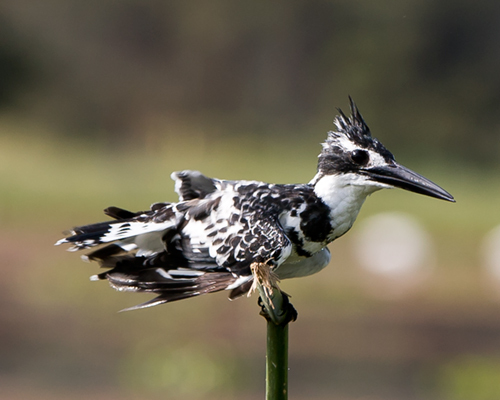 The bird bottom left is a pied kingfisher and on the right is a much more brilliant kingfisher, the type I do not know. The colourful one was very small, very well protected in the thorns and impossible to get near. Though he was difficult to approach and photograph, there is another picture of him on the next page. We are not overly keen bird watchers and one full day was more than enough for us at Lake Naivasha. I am sure Lake Naivasha is a paradise for keen birders; for us it was a nice, convenient overnight stop on our way south to the Masai Mara National Park.